Situated in the northern centre of peninsular India, Maharashtra came into being thanks to the linguistic reorganization of the States of India, which came into effect on 1 May, 1960. 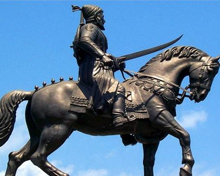 The state of Maharashtra offer an array of landscapes, activities and characters, and whether one is city-lover keen on shopping , a history or archaeology enthusiast, a religious person, there is something on offer for everyone. Mumbai (formerly Bombay), India’s answer to Hollywood, is a dynamic city with its frenzied market places, colonial monuments and beautiful beaches. Lonavala and Khandala, twin hill stations in the Western ranges of the Sahyadris, offers an astounding landscape of cascading waterfalls and the surrounding mountains. 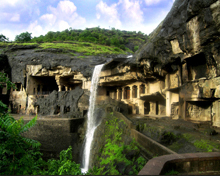 One can explore the wonderful ancient rock cut caves of Ajanta and Ellora, the hill fort of Raigarh, Shivaji’s capital. Wherever one travels in Maharashtra there is certain to be a warm welcome and traditional hospitality, making the state a deeply satisfying corner of India in which to travel.